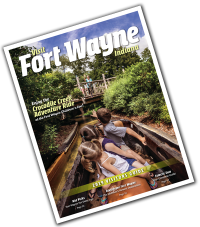 For users of VisitFortWayne.com, we recommend using a screen reader on your device or browser. One such screen reader for Chrome is Read Aloud. In Windows, hold down the Control key while tapping the Equal key. For Mac, hold down the Command key while tapping the Equal key.